Farmer Matthew Wismer looked like he just stepped out of a storybook. Perched on his head was a festive straw hat, and under it, his grin beamed bright against his weathered face. Decked out in blue coveralls, he strode up the driveway of Northern Star Farm in Trappe to welcome the crowds attending his weekend fall fests. He extended his large hand to me and the Barron family, my guests. Mom Kathryn was carrying her tot Pete, who, at only eight months, was happy to enjoy the sunshine and fresh fall air from his snuggly carrier. Accompanying Pete were his two older siblings, Savannah (5) and Brett (4). Wismer crouched down to greet them: "Thank you for coming to my farm today. I&apos;m really glad you&apos;re here today." Brett wanted to get started right away, so he scrambled aboard one of the tractors parked near the entrance. After a quick workout with the steering wheel - "Brrrrrrrrrrmmmm..." - he was ready to move on. We walked by Harry the Horse, who was saddled up and ready to give rides. "He&apos;s not a pony," Wismer pointed out. "We use a real horse so that adults and people with special needs can ride, too." Both Sav and Brett were interested, but somewhat reticent. So we decided to come back. We strolled past Wismer&apos;s collection of farm animals: goats, sheep, pigs, bunnies and a fuzzy alpaca. We headed over to the apple-launcher. 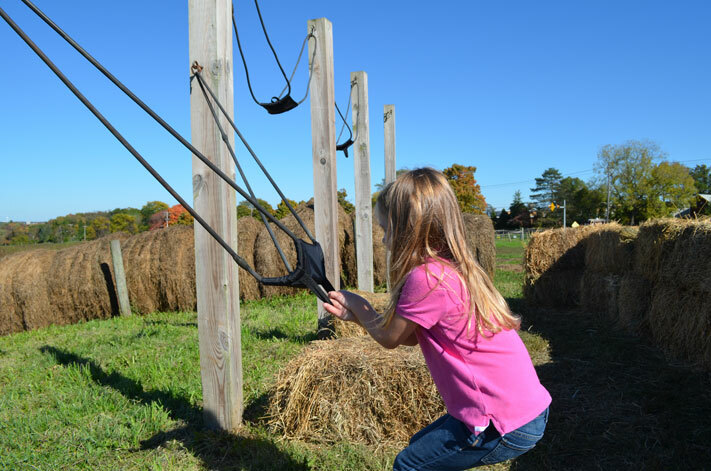 This large-scale slingshot challenges visitors to launch an apple into a plastic basin in the middle of the field. 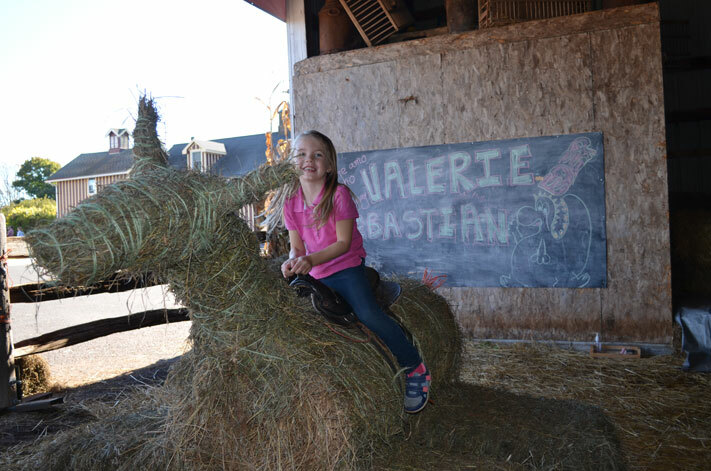 "Land one in and win a pumpkin," Wismer said. The kids and I dug right in. Fortunately, there were four launchers, and two of them appropriately-sized for youngsters. 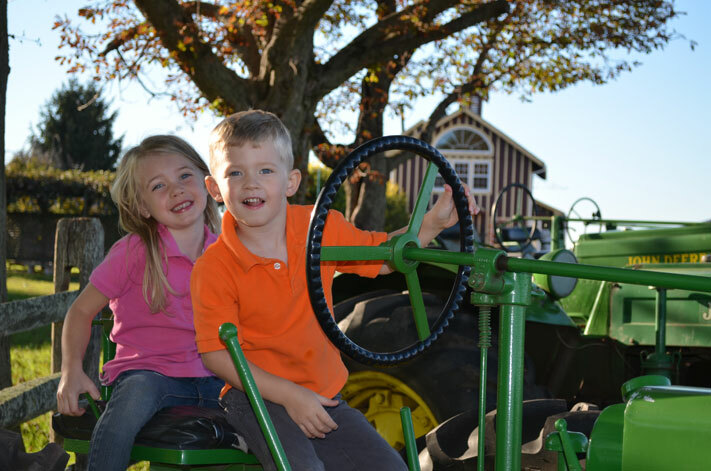 Brett and Savannah sent apples sailing into the field, but their range was a bit short. Deciding that maybe they needed a little more muscle, I offered to help. Brett said he was okay on his own, but Sav was eager to pair up with me. Together, we pulled the rubber strap as far as it would go - at this point, I&apos;m just about lying on the ground - and let loose. The flung fruit arched into the sky. It was a little tough spotting the basin in the middle of the field, but I reasoned to Sav that we would know if we hit it or not by the sound made by our launched apple. "If we hear a thunk, we&apos;ll know we made it." We tried again. The apple thudded off-target. Several other attempts were wide... or long. No pumpkin for us. "The neat part about this," Wismer said, smiling, "is that if you get tired of shooting apples, you can always take a bite out of one." 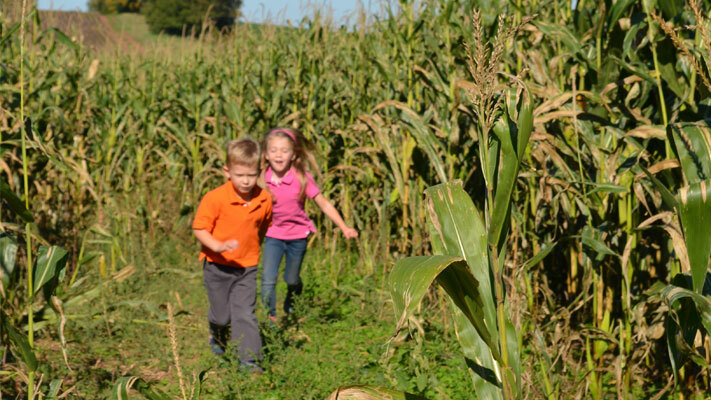 We headed off to one of the two massive corn mazes on the farm. On the way, the percussive sound of the farm&apos;s air cannon echoed across the property. This barnyard bazooka encourages gunners to fire recycled water bottles at a hung metal disc. The kids were intimidated a bit by the noise - little Pete, for instance, disliked it a lot - but I had to give it a try. Again, my marksmanship was less than impressive. It was time for the corn maze. We entered and quickly discovered that the height of the stalks soon erased any landmarks that might have helped us navigate. The adults merely followed along as the kids led the way. "Another dead end!" they called when coming upon an impasse. Savannah, however, began thinking her way through the course. She used the distant sound of the air cannon - as well as the drone of a passing tractor pulling the hayride - to figure the way out. Before long, we were free of the twisty passageways. 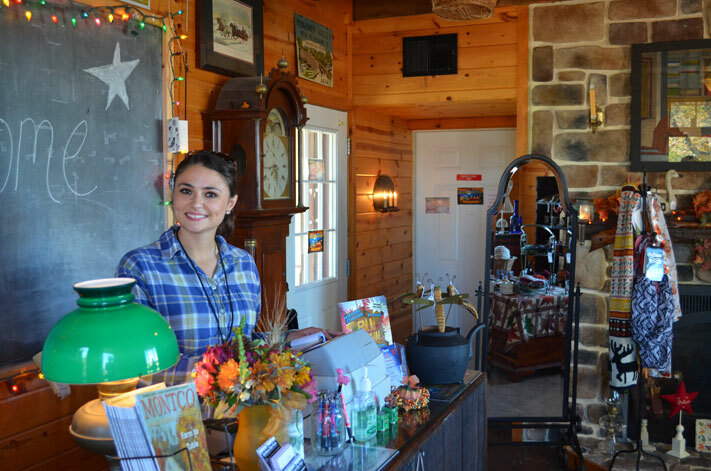 The brilliant sun was beginning to wane, tinging the acreage with an amber glow. We started for the exit. By then, Harry the Horse had no line, so Savannah got her ride. Brett opted out. I tried to entice him by going for a trot myself, but he remained uninterested. Wismer offered a final farewell toast of some apple cider and after a quick hand-wash, we were on our way home. 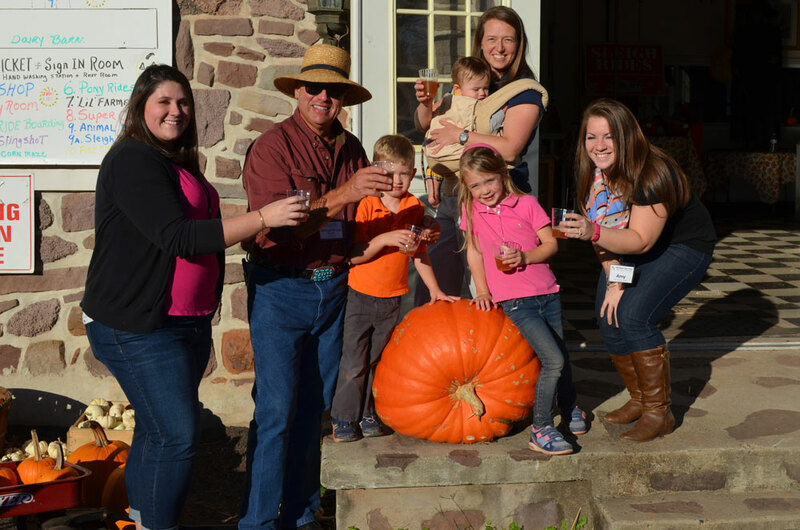 Northern Star Farm&apos;s fall festival continues October 24-25 and October 31-November 1. Hours are 10 a.m.to 5 p.m. When the weather turns from autumnal to wintry, the farm provides a truly unique experience: an old-fashioned sleigh ride, horse drawn, gliding across its expansive 230 acres.